Spanish rabbi and scholar of the sixteenth century. He intended to go to the Holy Land, but when he arrived at Tripoli he found its Jewish community in such a state of disorganization that he deemed it more meritorious to remain there and to regulate its affairs than to proceed to Palestine. He accordingly accepted the rabbinate, and was officiating there in 1549. Under his management matters rapidly improved and a model community developed. 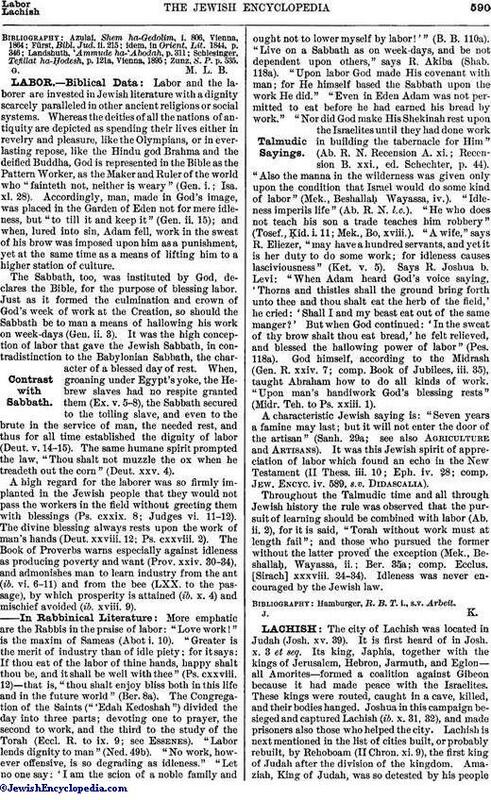 Labi was a profound cabalist, as appears from his commentary on the Zohar to Genesis (part i., Leghorn, 1795; part ii., ib. 1805). He composed also liturgical songs, among which the well-known is still used by the Spagnioli during the Friday evening service. 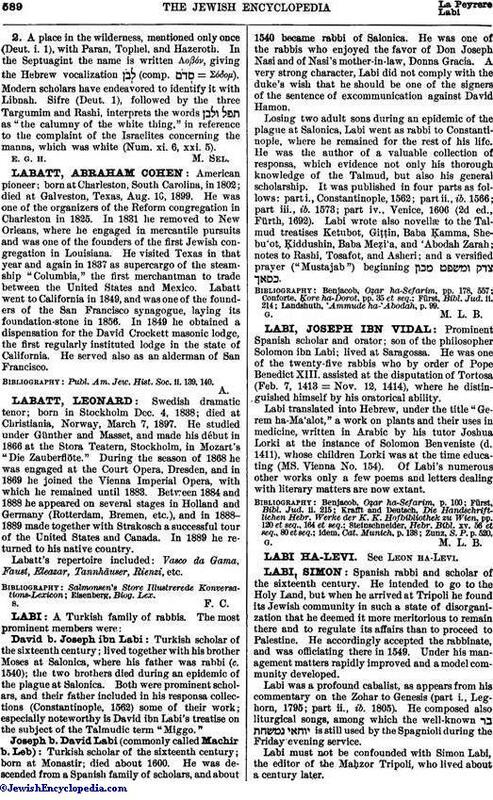 Labi must not be confounded with Simon Labi, the editor of the Maḥzor Tripoli, who lived about a century later. Zunz, S. P. p. 535.